The house is situated 50 m from sea in a quiet place near Trogir, Sevid. In this house we offer 3 apartments 4+3. 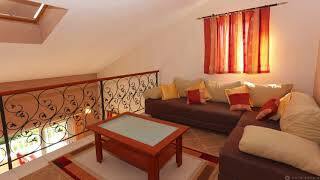 The apartments have fully equipped kitchen, satellite TV and air conditioning – heating, wi-fi internet. Parking is provided, mooring too. Near house you have all that you need, beach , restaurant, super market, caff bar.